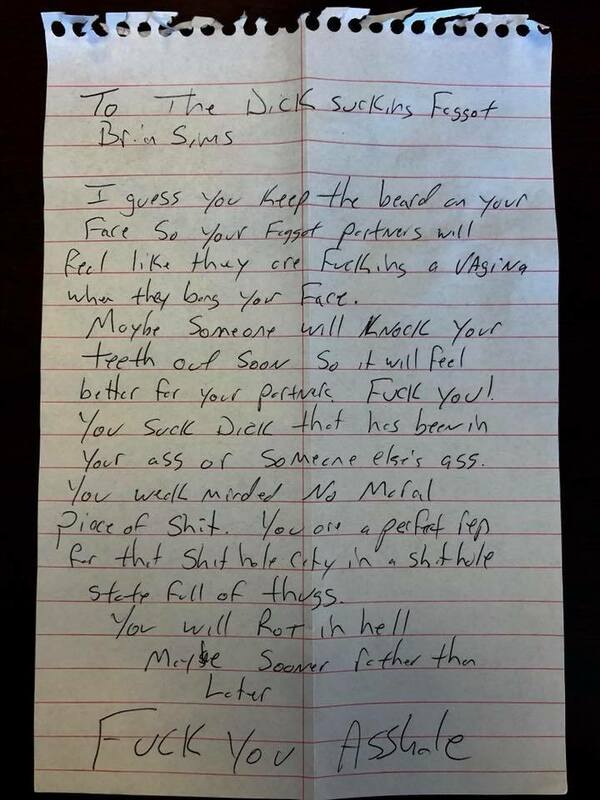 State Rep. Brian Sims, the Democrat from Philadelphia who is Pennsylvania’s first openly gay state legislator, shared some of the vile hate mail he has received being an out and proud politician. 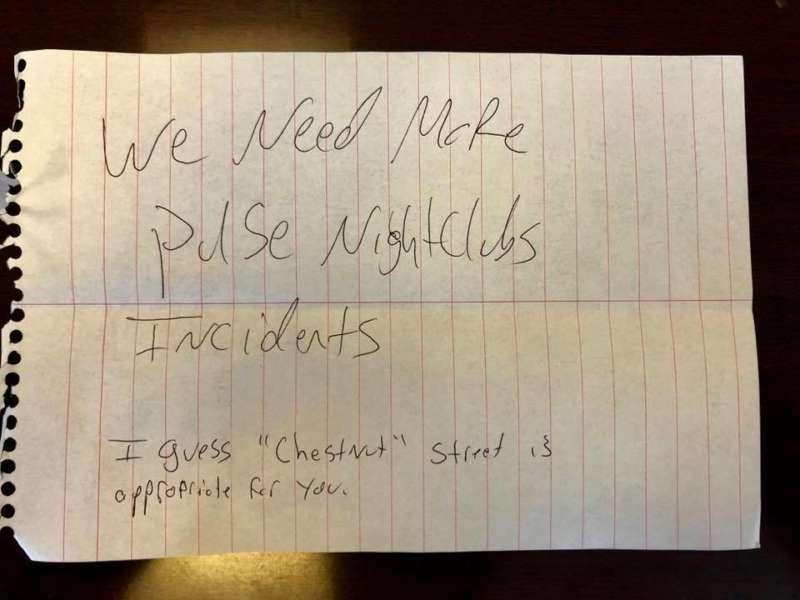 DEAR BIGOTS: When my Office gets letters like this, I’m reminded of today’s Marriage Equality anniversary and of last night’s Democratic National Committee #LGBTQ Gala. My PRIDE in being a member of the lesbian, gay, bisexual, transgender, and queer communities is so much greater than any nastiness or aggression you’ll ever send my way because of it. This is a battle you can’t win. My communities are stronger than you, more resilient than you, and have more reasons than ever before to FIGHT for our country! * Facebook please leave this up as a reminder of what Pride looks like for far too many people. Last week, Rep. Brian Sims posted a ravenous welcome message for Mike Pence before he visited Philadelphia. Pence arrived in Philadelphia on Tuesday, June 19 for a fundraiser at the Rittenhouse Hotel with the Republican Governors Association. Sims shared a post on his official Facebook page, featuring an image of the Pennsylvania House member personally flipping off the anti-LGBTQ VP.